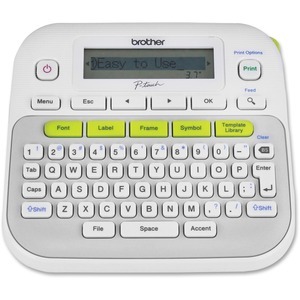 Label maker features an easy-to-use format to quickly create labels up to 12mm wide. 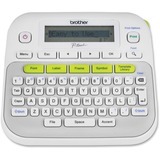 Graphic display shows how your label will look before you print. 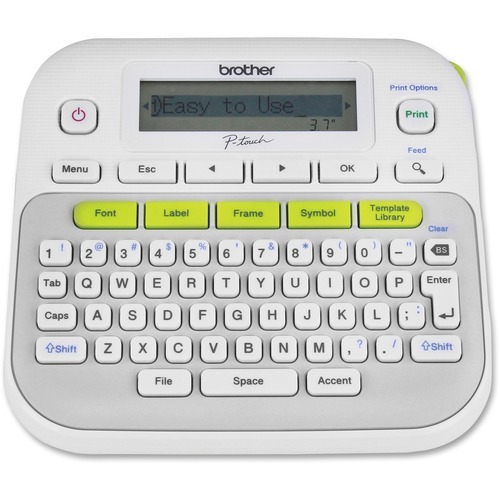 One-touch keys let you quickly access fonts, labels, frames, symbols and templates. Built-in memory saves up to 30 labels for fast, time-saving performance. 14 fonts, 95 frames and over 600 symbols offer label variety. Dual-power options can be powered by an AC adapter or six AAA batteries (all sold separately). 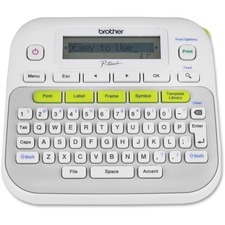 Label maker is designed for use with Brother TZe series tapes up to 12mm wide and includes a 12mm starter tape.